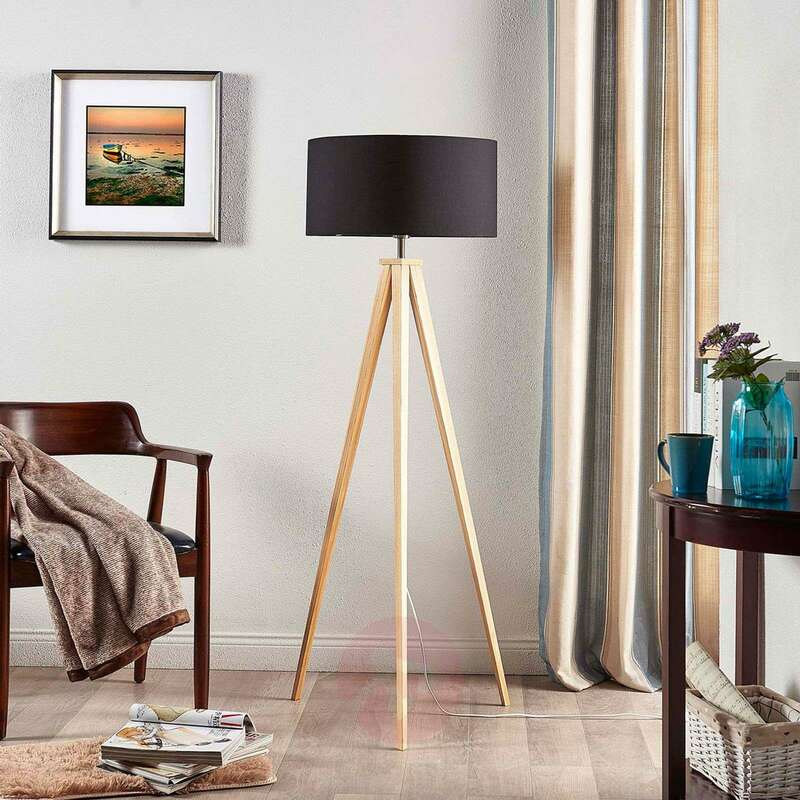 Mya is an attractive light fitting with a cosy lighting effect which can be wonderfully combined with contemporary country house styles. 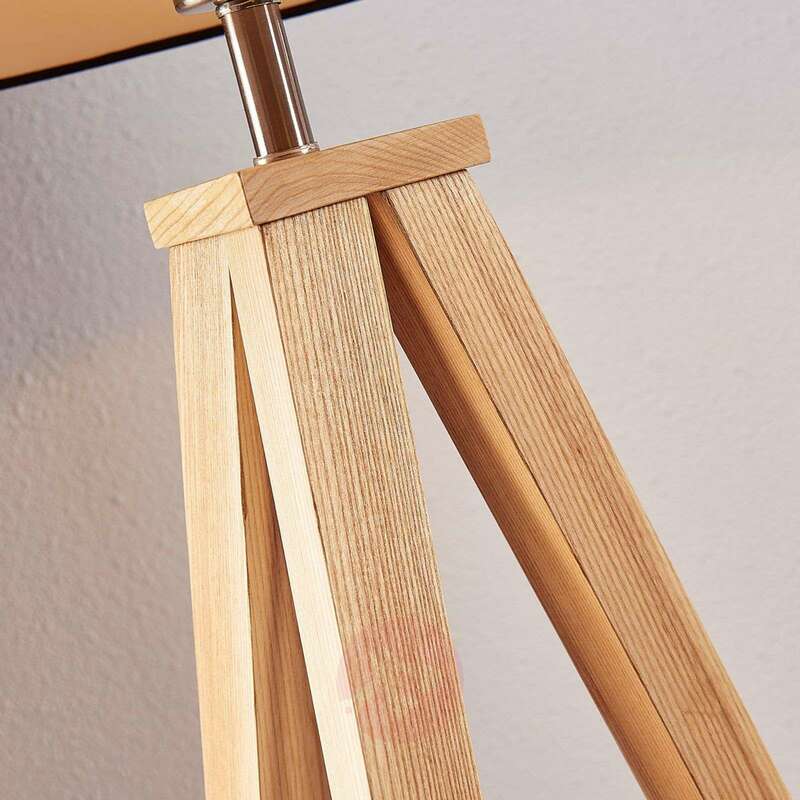 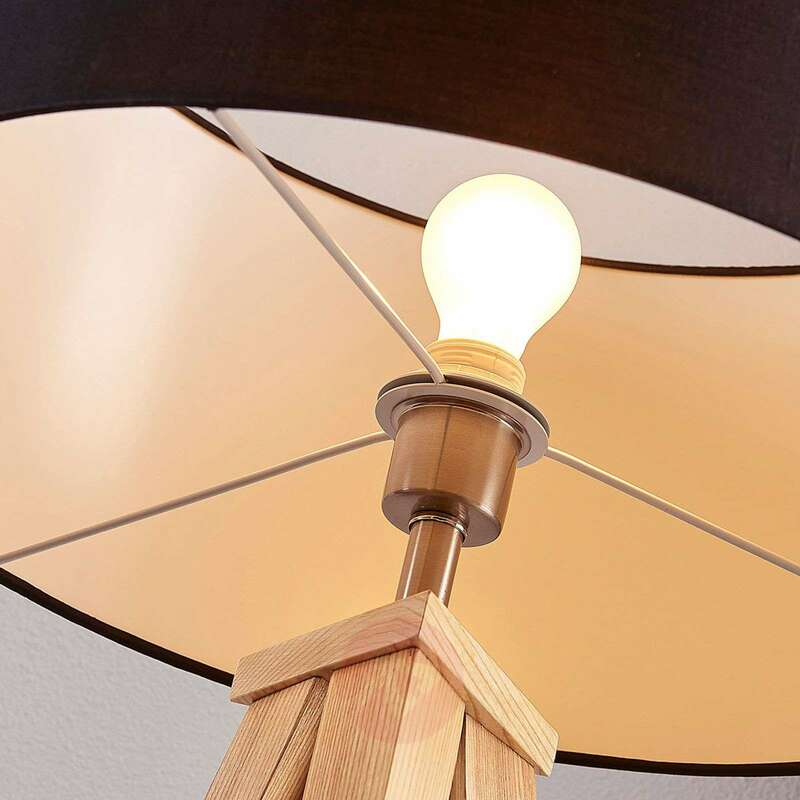 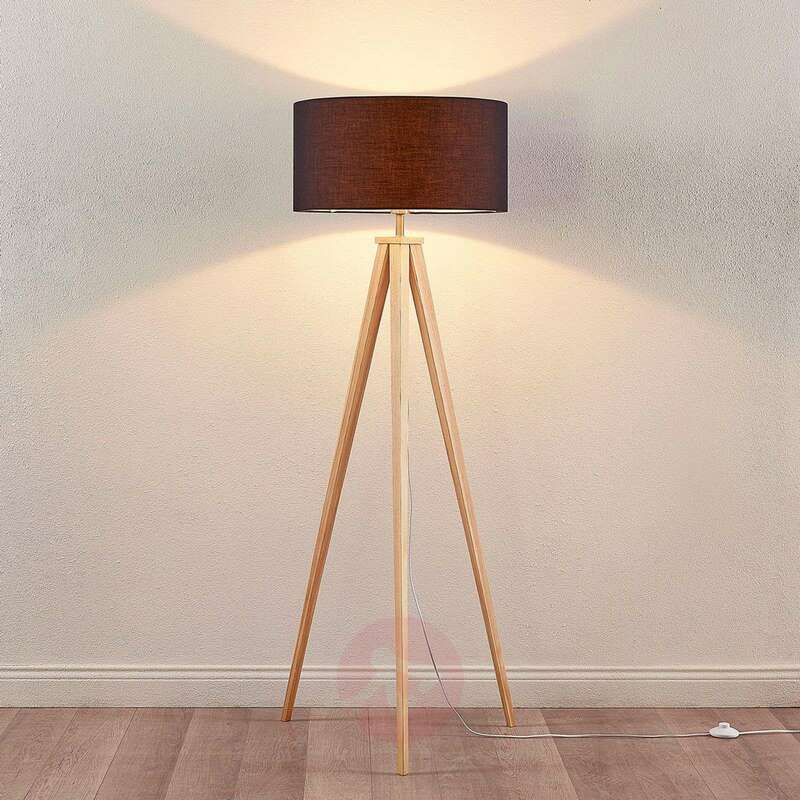 You can also use the wooden floor lamp as a perfectly shaped addition to Scandinavian interior design styles which, as you know, work with fabric and wood, as well as reduced shapes. 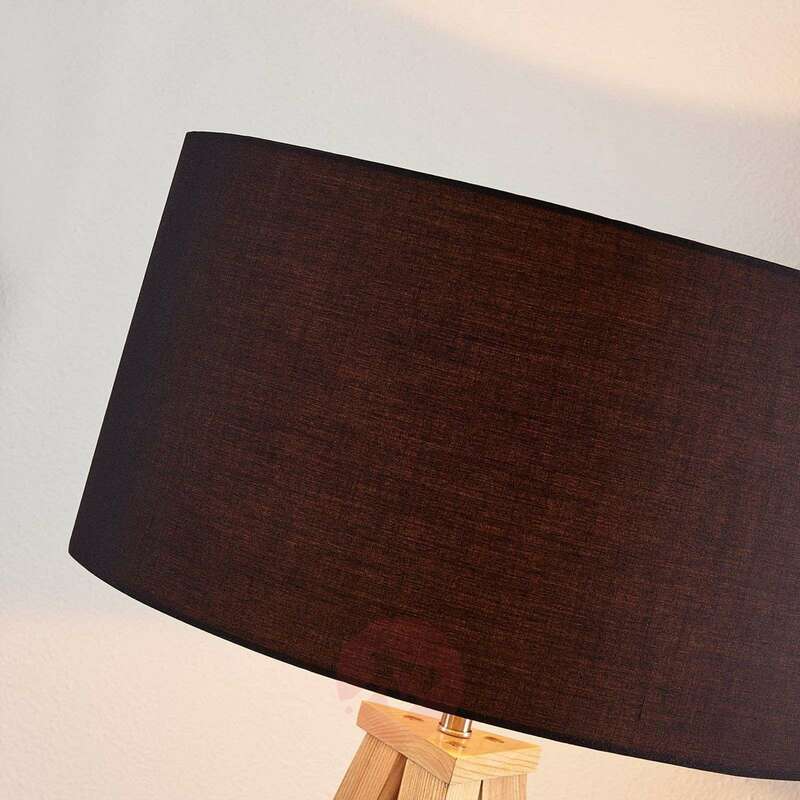 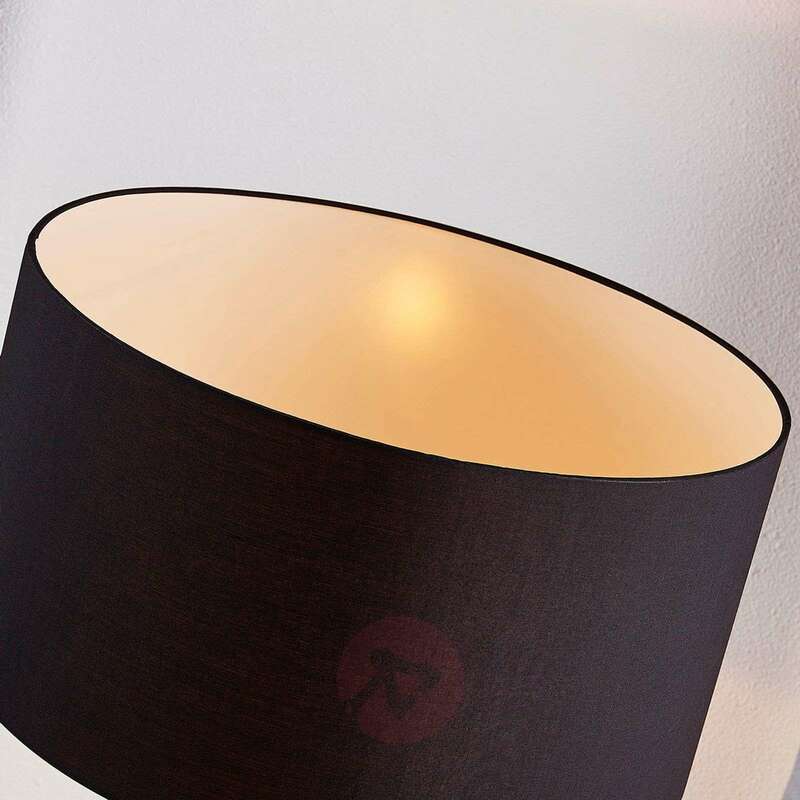 The light which penetrates from the black fabric lampshade has a very cosy effect and radiates a pleasant atmosphere of comfort. 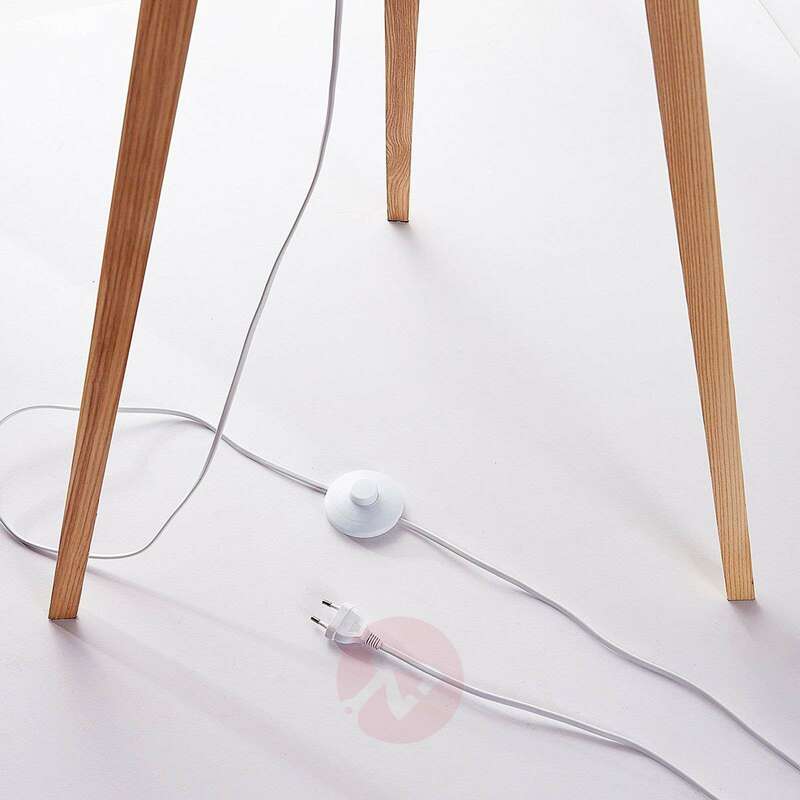 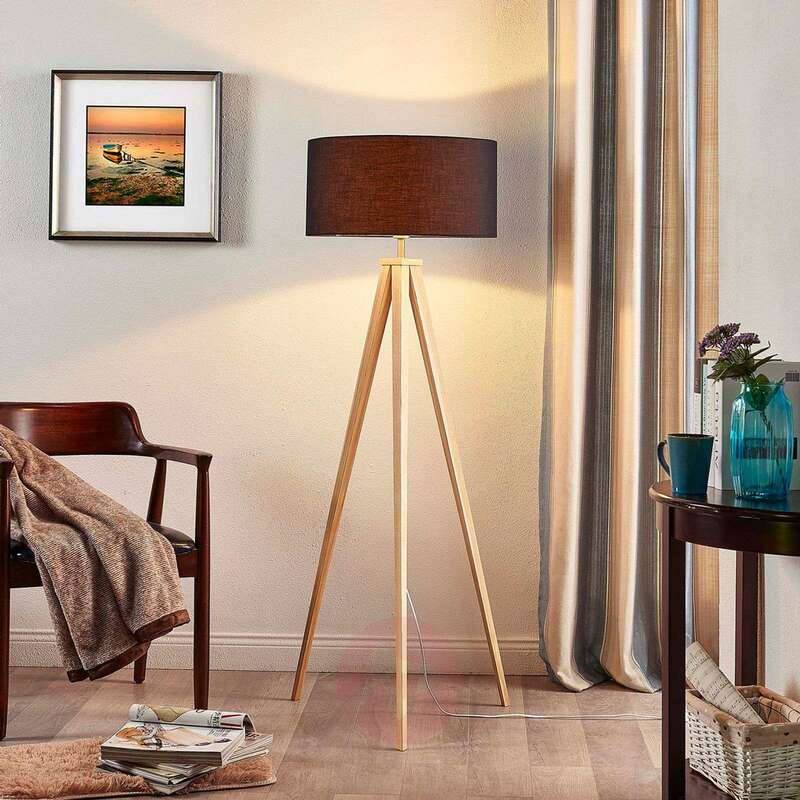 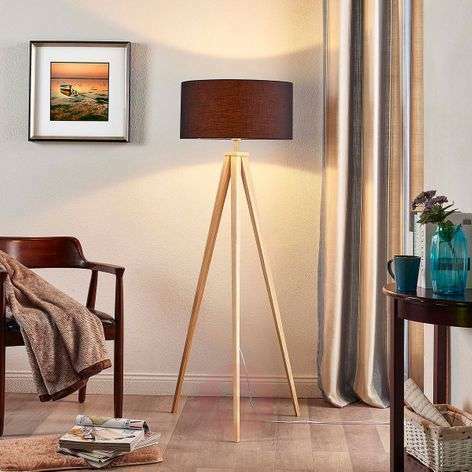 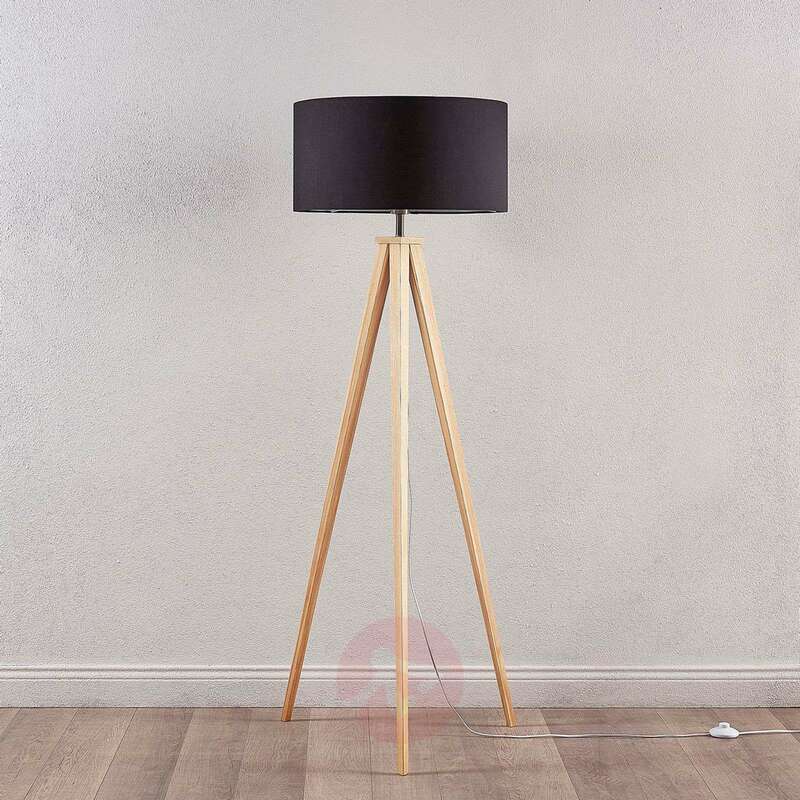 Of course, this floor lamp does not give you a targeted light which is suitable for reading or for similar tasks, but instead provides a light which is perfect for leaning back and relaxing in the evening.